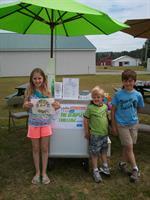 Cool Treats For Charity is a frozen treat mobile pushcart business owned by Kristen Short and operated by The Short Family in Oxford Hills, Maine. 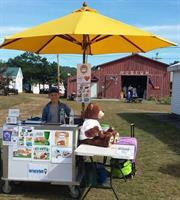 We are licensed and insured in the State of Maine. 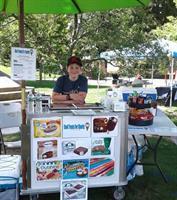 From our pushcart we sell frozen treat items such as Magnum bars, Klondike bars and sandwiches, Haagen-Dazs bars, Toll House Cookie ice cream sandwiches, Outshine fruit bars, Healthy Choice fudge bars, Island Way sorbet, and Fla-Vor-Ice popsicles. We have a snack bar with chips, crackers, candy, granola bars and trail mix. We also have Poland Spring water and a Keurig coffee service and all the fixings for great cups of coffee, tea and hot cocoa. 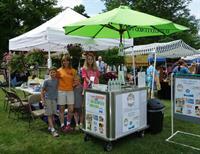 Invite Cool Treats For Charity to your event that you'd like refreshments served at. We provide the treats and friendly service, and you provide the guests. Items range in suggested donation prices of $0.25 to $2.00. 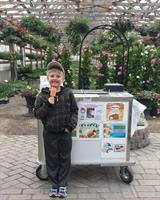 Proceeds from the sale of our frozen treats, snacks and beverages benefit charity. 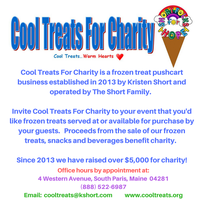 Charities we have made donations to include Short Folks For Hope Foundation (501c3 cancer support charity founded by Kristen Short), The Dempsey Center of Lewiston, Maine, Androscoggin Hospice House, American Cancer Society/Relay for Life, Community of the Resurrection, Responsible Pet Care, fundraisers for families with loved ones going through cancer treatment, and others. 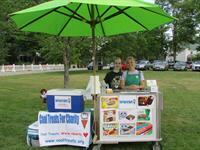 Since our first event in the summer of 2013, Cool Treats For Charity has donated over $5,000 to local charities. 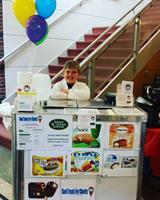 Allie Short was the Dempsey Challenge Top Youth Fundraiser in 2013.